Through the years, Bollywood has had a close relationship with sports and its stars. While some of the celebrity couples tied the knot, other unions fizzled out. Lara Dutta is the latest actress to join the list, as she plans to wed tennis player Mahesh Bhupati next month. We look at other couples from the different fields, who tied the knot. Lara Dutta will change the status of her relationship with Mahesh Bhupati in February when the two get married. 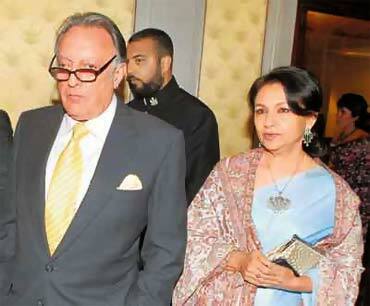 Apparently, the two decided to get together a year after Bhupati split from his wife, model Shvetha Jaishankar. They got engaged in New York, and were recently seen on Karan Johar's Koffee With Karan sharing a lot of laughs. Lara's exes -- Kelly Dorgi and Dino Morea -- will not be invited for the wedding, according to rumours. 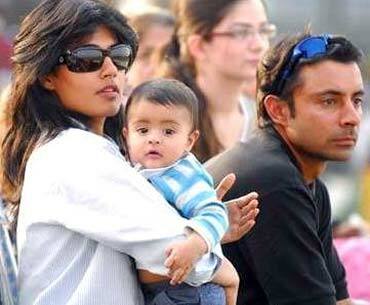 Chitrangada Singh got married to golfer Jyoti Randhawa in 2001 and the couple has a son. The actress is an avid traveller and tries to accompany her hubby whenever he is on tour. Is that why she hasn't done too many films? For now, we can look forward to her film, Yeh Saali Zindagi. After Sangeeta Bijlani's much-publicised romance with Salman Khan, she fell in love with the then Indian cricket captain Mohammed Azharuddin. Azhar, who was married with two sons at the time, divorced his wife and married the former Miss India in 1996. Recent rumours of a split between the two -- because of Azhar's alleged romance with badminton player Jwala Gutta -- were put to rest, as the couples are still together. At the peak of her career, Reena Roy fell in love with Pakistani cricketer Mohsin Khan, and left her flourishing career to get married to him in 1983. Later, Moshin tried his hand in Bollywood but could not find success. The two latter divorced. Their daughter Sanam lives with Reena. Sharmila and Pataudi got married in 1969, when both of them were riding high in their careers. 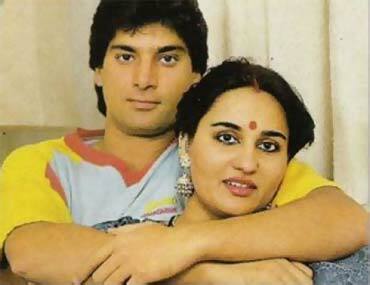 Even after marriage, Sharmila continued acting in films, something very unusual for actresses at the time. They have three children -- actors Saif Ali Khan and Soha Ali Khan, and jewellery designer Saba Ali Khan. The films that show off Mumbai best!